A charging order is a very common form of enforcement used by judgment debtors seeking to recover money owed to them after they obtain a county court judgment. It should not, however, be seen as an instant method of enforcement as it is only in limited circumstances that you can force the sale of a debtor’s home to get your money back. If two people own the property, but you have a CCJ against only one of them, you can still apply for a charging order. It may not be worth getting a charging order against a property that is in negative equity. The procedure is as follows: download form N379 from the Her Majesty’s Courts Service website. Enter the amount of the judgment and how much is now owed (including any costs and interest if applicable). Include court fees that have already been awarded to you, but not the court fee for the charging order (currently £100), which you can request for addition to the debt at the hearing. You should make sure you list all the people who have an interest in the property, namely the owners, the mortgage company, other creditors and any other charging orders. If you are unsure, you should just leave this part of the form blank. Send the form N379 with a copy of the Land Registry entry and the fee to the court. The court will then enter an interim charging order against the property. They will not make a final order without a hearing. Once you receive the copies of the interim charging order from the court (if there are other creditors) you should then send these on to the creditors at least 21 days before the hearing. The date of the hearing will be on the interim charging order. On the date of the hearing the judge will decide whether or not in all the circumstances a charging order should be made. In the vast majority of cases the other creditors will not attend. The judgment debtor may attend if they dispute the validity of the order. The court will make a charging order once it has considered all the circumstances of the case, including the debtor’s personal circumstances, and having regard to whether any other creditor will be ‘unduly prejudiced’ by the making of the order. The debtor may argue at the hearing that their family would suffer particular hardship if a charging order led to the sale of their property. This is particularly relevant in cases in which the judgment debtor is only one owner of the property. The judgment debtor can also offer payment of monthly installments which may stop the sale of the property, as long as the payments are maintained. I received a judgement in my favour.I transferred the matter up to the high court and then engaged bailiffs (HCEOs).They have been unsuccessful and I now wish to apply for a charge on the debtor's property.Should I ask a High Court for this, given that I transferred up?Thank you for any guidance. I obtained CCJ against Debtor who failed to pay me even after Court sent Judgment. 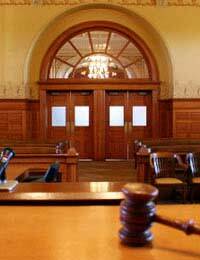 Now I wanted to request court to make a Third party debt order in order to recover my debt. I know Judgment Debtor has bank accounts in which his monthly salary is deposited by employer.. My Questions ; 1. As Debtor has Accounts in 02 Banks, Can I give details of his 02 Bank Accounts to the court or Should I only give One account s details ? 2.If I can give all 2 account details, should I send 2 forms of N349 for each Bank account detail ? 3. Or Can I give 01 Bank detail in N349 Form and include a letter explaining his other bank account details ? 4. What should I do if I want to serve the order myself to the third party (bank) ? please kindly help. @pete - I suggest you speak to your professional legal adviser on this matter, as we can't really advise on this given it is already going through litigation. My debtor is a very clever disqualified director . He has and continues to scam honest people including me. We are now commencing proceedings against him indeed he has lost six similar cases. The last however remains with an unpaid judgment ! !.Checking him out he lives in a very large farm in cheshire but he,s transferred his ownership to his wife about 9years ago. I,m aware he,s a "benificiary"but how do l go about forcing him to release the equity in what is obviously the fruits of his ill gotten gains when its in his wifes name please ?. pete . thanking you in anticipation of a reply .